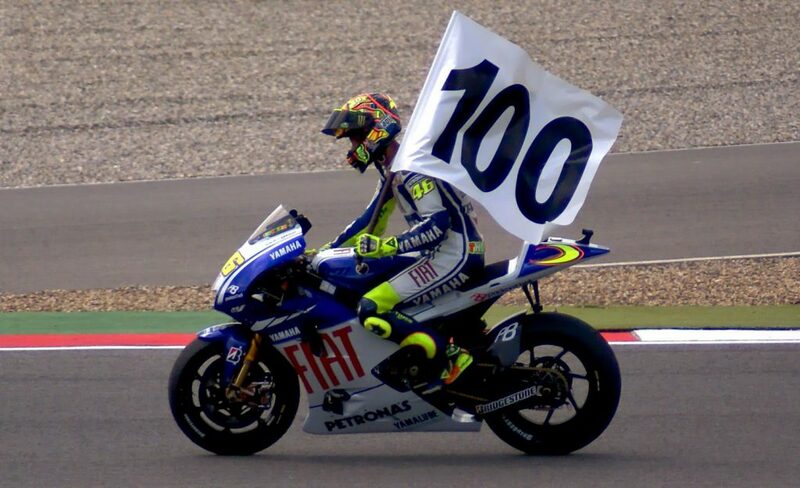 Valentino Rossi is a legend in motorcycle racing. No other rider has built up such a following as Valentino, and the 40-year old remains the biggest crowd drawer in the MotoGP World Championship to this day. With 9 titles to his name and the now iconic number 46 on the front of his bike, Rossi is undoubtedly one of the world’s greatest sportsmen. 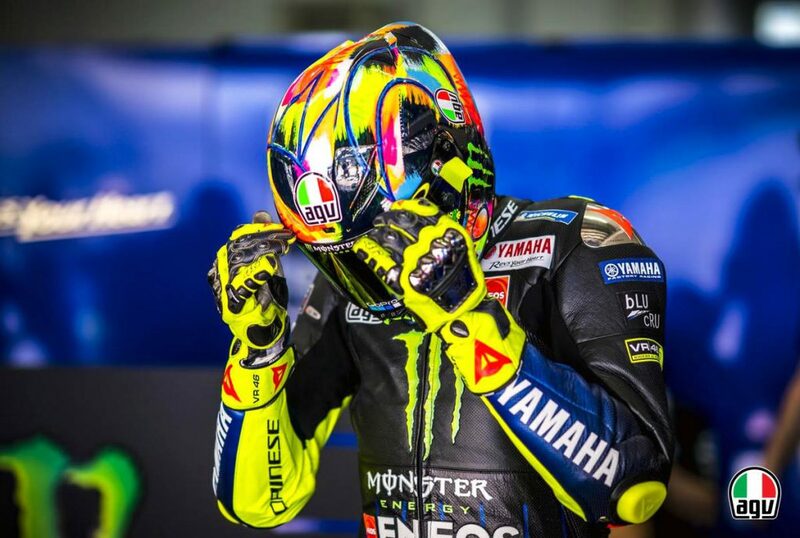 Born in Italy in February 1979, Rossi and his family moved to Tavullia, a small town to the North of the country close to the border with San Marino; and still resides there today. Growing up as the son of a motorcycle racer, Graziano, Rossi was always destined to be a racer and began life on the track in karting before making the move to two wheels – a move that’s gone pretty well it’s safe to say! Rossi turned 40 this year this year and is still participating at the very top of motorcycle racing in MotoGP. As the oldest rider on the grid, Rossi is now at the point where the youngest riders could be his children; but that doesn’t mean his passion for racing has dwindled. If anything, the passion is as strong as ever and he certainly hasn’t lost any of his legendary charisma. Ahead of the new season, Rossi – as always – ventured out onto the track in a special edition helmet, which is available for you to buy at Demon Tweeks right now. To celebrate the release of the AGV GP-R Rossi Winter Test 2019 replica motorcycle helmet, and Rossi’s 40th birthday, we decided it was time to pay tribute to the GOAT with a look back at his illustrious career. Valentino Rossi began his professional racing career in 1996 when he joined the Aprilia Racing team in the 125cc class, recording one race victory and finishing ninth in the championship. The following year, however, Rossi blew the opposition away to win the title with 11 wins from 15 races and a total of 13 podium finishes. A move up to the 250cc class followed in 1998, where four straight race wins at the end of the season propelled him to second in the overall standings. That form continued with another World Championship, winning 9 of 16 races with 12 podium finishes and that opened the door for Rossi to move up and join the big boys. Until Valentino Rossi came along the premier class was wide open. Anybody could’ve won it. When he made the move up to what was then the 500cc championship in 2000 with the Nastro Azzurro Honda team, Rossi was competing with the likes of Max Biaggi, Sete Gibernau, Kenny Roberts Jr and Loris Capirossi; with “Rocket” Ron Haslam and the King of the Mountain, John McGuinness even taking part in one round. Rossi won two races in that year – including one at Donington Park – finishing 39 points clear of Biaggi and 49 points behind eventual champion Roberts Jr; but the world was taking note. The following year was all about the Italian, winning 11 of the 16 rounds with just one DNF (unfortunately for Rossi, this was at the Italian round at Mugello), to clinch the title by 106 points from Biaggi. It was this relentless form that eventually led Rossi to win five World Championships on the bounce spanning – making him the last ever 500cc Champion, the first MotoGP Champion when the class was rebranded in 2002 and 2004 saw him give Yamaha their first premier class championship since 1992! Perhaps one of the most impressive things about Rossi winning five in a row was that during this period he actually changed from riding for Honda, to riding for Yamaha. Switching from one manufacturer to another causes great upheaval for a rider with many taking months, even years, to learn how to ride the new bike with its differences to what they know; but Rossi did this seamlessly. Rossi went on to win a total of four titles over seven seasons with Yamaha before making what many viewed as the dream partnership between a legendary Italian rider, and a legendary Italian motorcycle manufacturer, Ducati. Unfortunately that partnership never blossomed and, after two seasons and just three podium finishes, Rossi went back to his spiritual home with Yamaha where he finished second in the first race of the season and took the win at the Dutch GP, finishing fourth in the Championship. Rossi has gone on to win a total of nine World Championship titles to date, the most recent of which coming in 2009, and continues to ride for the factory Yamaha Racing team in 2019 with many speculating that, at the age of 40, the 2020 season – the end of his current contract – may be the last campaign in which we see “The Doctor” and his iconic number 46 out on track. A lot of riders have nicknames based on their riding style, the name their parents called them as children or the names given to them in the press in some cases; and Valentino is no different. 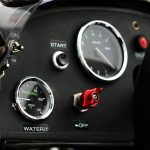 We mentioned it very briefly, but Rossi is known the world over as “The Doctor”, a nickname given by his father, Graziano, because in Italy it is a sign of respect to call someone “The Doctor” (although others believe Rossi gave it to himself having earned a degree and the entitlement to call himself a doctor). Rossi was also given the nickname of “the GOAT”, an abbreviation of Greatest of all Time, by teammate Colin Edwards and numerous members of the world’s media who believe that Rossi truly is the greatest rider ever to take to a racing circuit. 291 of those races and 76 of those race victories have come in the premier class, his most recent victory coming in 2017 at the Dutch MotoGP at Assen. 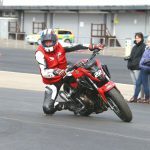 Throughout his career Rossi has been the man that everyone has tried to copy in some shape or form, whether it’s through the setup of the bike at a particular venue or through his training methods to gain an advantage over the rest of the grid. 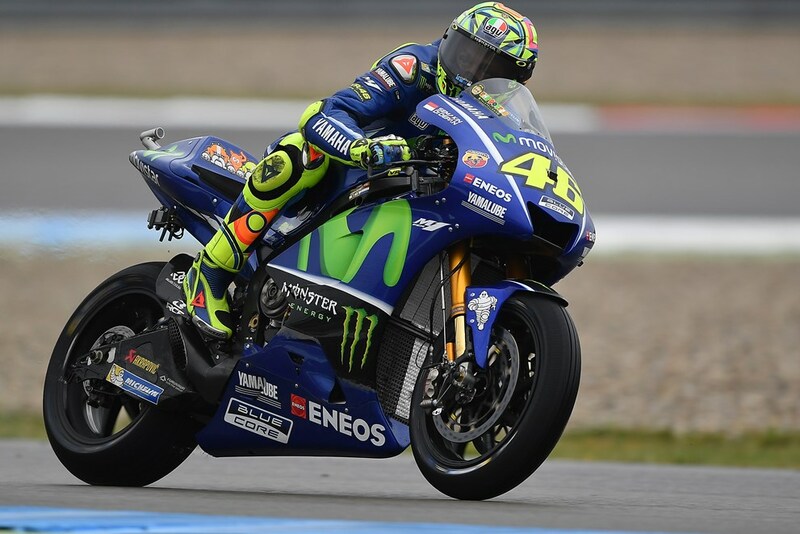 One particular mannerism – or should that be strategy – that The Doctor created is “The Doctor’s Dangle”, where Rossi started hanging his leg away from the bike to act as a wind brake in the approach to a corner. 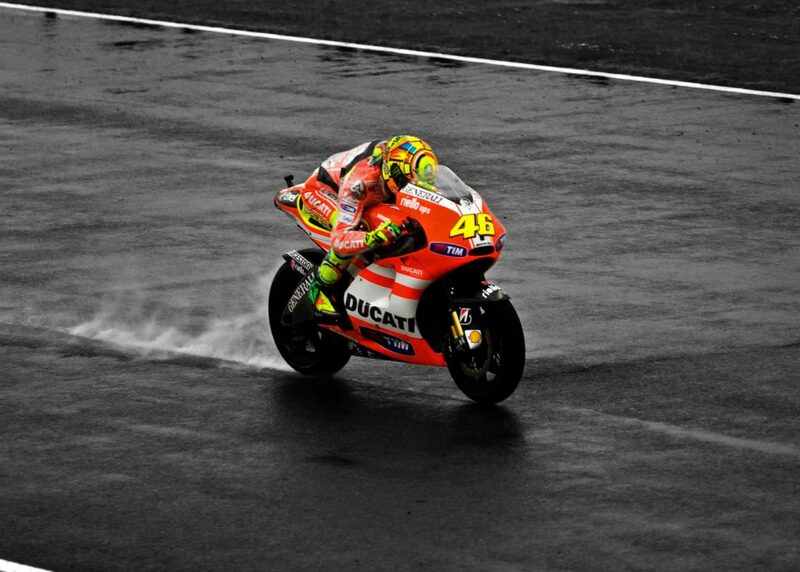 While some will say it has very minimal impact on braking speed, you only have to watch a motorcycle race – whether it’s MotoGP, Moto2, Moto3, World Superbike, British Superbike, anything – and you’ll see countless riders adopting the strategy that Rossi brought into the sport. 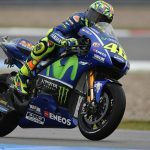 Many journalists questioned if adopting the same method was simply copying Rossi because he is “the great Valentino Rossi”, or because it genuinely had benefits. Whatever the reasoning, many saw that it was better to learn the method and replicate it where and when possible, rather than losing the advantage. Whatever your own thoughts about Rossi’s “dangle”, he’s certainly set a trend. One other area in which the GOAT has set a trend is in motorcycle helmet designs, with manufacturers bringing out unique designs for racers that have gone on to become truly iconic. For all that Rossi’s stats say about him as a racer, he will always have an incredible back catalogue of motorcycle helmets, too. AGV Veloce S Rossi Soleluna 2017 replica motorcycle helmet: One of his most beautiful and iconic helmets to date, the Rossi Soleluna helmet encapsulates the sun and moon – which are both found on a lot of Rossi helmet and leather designs. AGV K1 Rossi Gothic 46 replica motorcycle helmet: a gothic variation on a brighter helmet worn in 2007 and following the theme of his Soleluna helmet, this replica is one of his most stylish and popular lids to date with VR46 down the rear. AGV K3 SV Rossi Misano 2015 replica motorcycle helmet: Misano, like Mugello, is seen as a home race for Rossi because it’s the closest circuit to his home in Tavullia. To mark the event in 2015 Rossi and AGV brought out this design with a shark chasing down the younger fish to show Vale’s hunger for success despite the new kids on the grid. AGV Pista GP-R Rossi 2018 Mugello Limited Edition motorcycle helmet: always one to entertain the crowds and mark his return to his home circuit, Rossi unveiled a limited edition helmet for the 2018 Mugello race complete with the Italian tricolore design. AGV K3 SV Rossi Tartaruga replica motorcycle helmet: One of his funniest and softest designs made for his home race at Mugello, the Tartaruga (turtle in English) helmet was Rossi’s way of utilising another of his characters and laughing off the fact that he was now slower than a number of his rivals. AGV AX8 EVO Rossi Ranch replica motorcycle helmet: Something of a curveball, but based on his love of motocross and his famous Ranch, AGV and Valentino have produced a number of Rossi replica MX helmets with the AX8 EVO styled in blue, white and high-vis yellow with the number 46 on the side. We mentioned how popular Rossi is earlier, and you only have to see the seas of yellow in the grandstands at every circuit on the MotoGP calendar to see for yourself what an icon of the sport the great VR 46 really is. The Valentino Rossi fan club, formed in 1996 and based in his home town of Tavullia, costs €40 per year and has thousands of members around the world who all attend the race meetings in their yellow Valentino Rossi t-shirts and have joined in with many of his race winning celebrations over the years.